Fri Aug 31 15:30:43 2018 MULTI: new connection by client 'client2' will cause previous active sessions by this client to be dropped. Remember to use the --duplicate-cn option if you want multiple clients using the same certificate or username to concurrently connect. But when I try to connect to a site (for reading scientific papers) which is blocked by my ISP (for copyright reasons) I see their webblock page instead of the desired page. 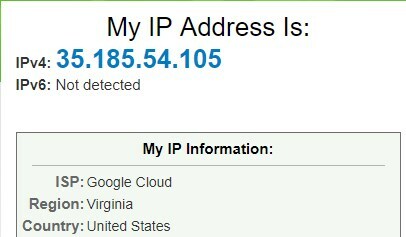 That is surprising because I thought that my traffic is encrypted and cannot be read by my ISP. But it seems that I did not configure it properly but I do not know what to change. 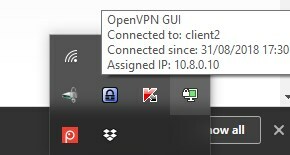 The log file says that the connection is encrypted and it seems that my IP also changed?! Your traffic is encrypted and your gateway is redirected ..